소태나무는 나무 껍질에 쓴맛을 내는 콰시인(quassin)성분을 함유하고 있어 매우 쓰다. 우리말에 ‘소태처럼 쓰다’란 말은 이것을 단적으로 표현한 것이다. 가지와 열매는 소화불량, 위장염 등의 증상에 치료제로도 사용한다. 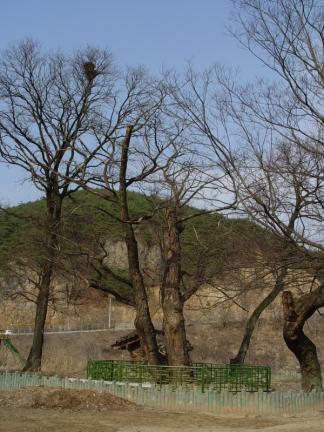 송사동의 소태나무는 나이가 약 400년이며, 높이 14.6m, 둘레 3.20m(동), 2.28m(서)로 소태나무로는 매우 큰 편이다. 송길초등학교 뒷뜰에서 자라고 있으며, 회화나무·느티나무 및 팽나무 등 10여 그루의 나무와 함께 작은 숲을 이루고 있다. 정확한 유래는 알 수 없으나 근처에 신을 모셔놓은 집인 서낭당이 있고, 여러 그루의 크고, 오래된 나무가 함께 있는 것으로 미루어 보아 마을을 보호하고 지켜주는 숲인 성황림으로 보호되었던 것으로 여겨진다. 지금도 마을 사람들은 매년 음력 1월 15일이면 마을의 안정과 풍년을 기원하는 제사를 지내고 있다. 송사동 소태나무는 소태나무 중에서는 매우 오래되고 큰 나무로서 생물학적 보존 가치가 높고, 우리 조상들의 종교문화를 알 수 있는 문화적 자료로서의 가치도 높아 천연기념물로 지정·보호하고 있다. 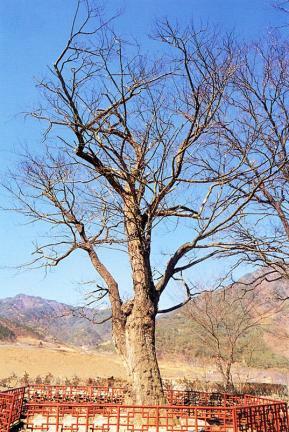 Indian Quassiawood is called sotaenamu in Korea. 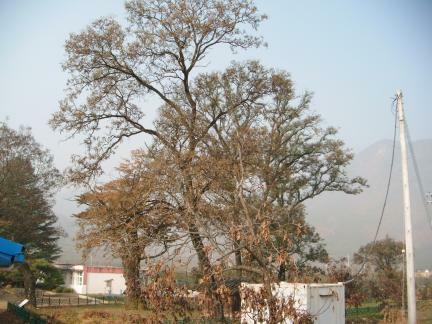 Sotaenamu means that the bark of the tree tastes bitter. 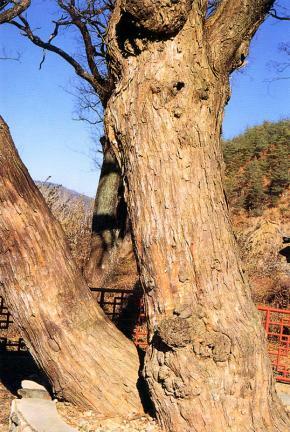 The Indian Quassiawood of Songsa-dong has height of 14.6 meters and girth of 3.20 meters. There is no way to determine the exact age of this tree. 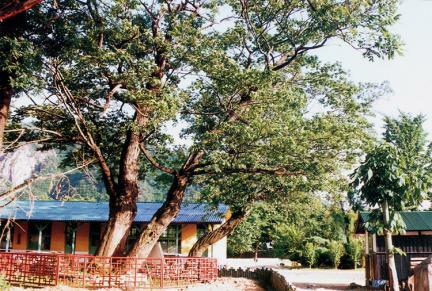 It is the biggest one among trees and grows at the backyard of Songgil Elementary School. 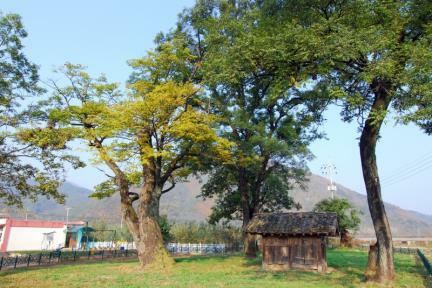 Seeing that the shrine and many trees are around this tree, villagers have apparently regarded this place as a village guardian. Up to now, villagers hold sacrificial rites here on the 15th day of the First Month by the lunar calendar to pray for peace in the village and for a good harvest. 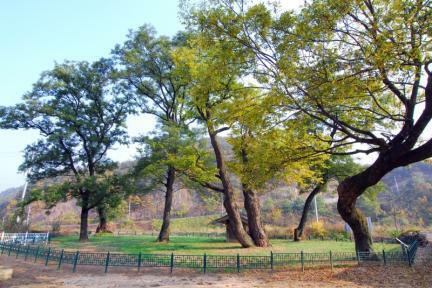 The Indian Quassiawood of Songsa-dong is designated and conserved as a Natural Monument because it has historical value as biological data.